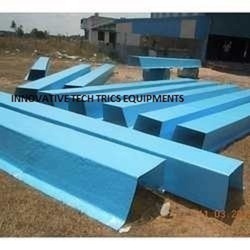 Pioneers in the industry, we offer reinforced frp gutters, frp rain water gutters, gutter lining and frp roosheet fing leak arrest gutter from India. We have kept in our store a versatile collection of Reinforced FRP Gutters. All our products are manufactured using excellent quality metal, employing latest machinery tools and advanced technology. 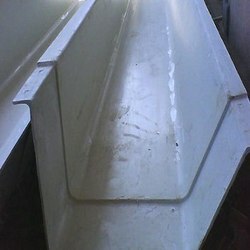 To cope up with the varied clients demands, we offer these plastic gutters in various shapes and sizes. Our immaculate range of FRP Gutters is highly demanded in the market by customers. 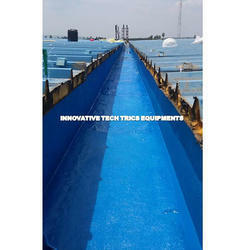 These tanks are designed using excellent metal, which provides exceptional durability level with long lasting feature. Clients can avail in in various sizes, designs, shapes and patterns as per need. Our experts design these tanks in complete adherence to the international standards so that we successfully meet the expectations of our patrons. We manufacture High Performance Heavy duty FRP Rain Water Gutters in FRP / RTRP as Materials of construction to meet Long Life with Guaranteed Performance up to 25 years of Design Life. We do manufacture gutter system like Gutter Lining Anticorrosion lining at client system with Guarantee for Warrantee for the peiod of 5 years from the date of job done. We are doing on site leak proof system for roofing sheet leaking problems and gutter lining to protect the shop floor from water entry to avoid damages for the goods. 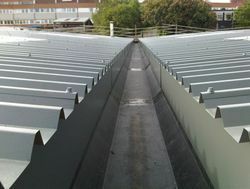 Our product FRP Roosheet Fing Leak Arrest Gutter guaranteed for 5 years from the date of work completion.